Applying a poultice is an age old remedy that is still effective today at helping to draw out infections and speed healing. Poultices are similar to compresses, except when a poultice is applied, the plant matter is directly touching the affected area. Poultices help by increasing blood flow, relaxing tense muscles, soothing inflamed tissues, and drawing out toxins. One of the reasons poultices are successful is that the skin, the largest organ of the body and one of the first lines of defense against disease, has the ability of absorption. Applying an herbal poultice to the painful area of the skin absorbs the medicinal benefits of the substance almost immediately. There have been many products developed to take advantage of this fact – creams, salves, bath products, liniments, oil, compresses, and poultices. Sometimes a simple wet cloth, called a heating compress, works well because anything applied to the skin causes a reaction in the blood vessels, bringing more blood into the area, and gradually raising the temperature of the skin. This elevation of the skin temperature causes an immigration of white blood cells into the area which improves the health and general cleanliness of the tissues involved. When herbs or medications are used, the beneficial effects can be increased. Use a mortar and pestle to grind the herbs into a powder. Place the herbs in a bowl, and add slowly add warm water until the mixture is thick but not stiff. Make a quantity sufficient to cover the affected area. Arrange a clean piece of gauze, muslin, linen, or white cotton sheeting on a clean, flat surface. The material should be large enough to cover the affected area completely. You can also use paper towel. Spread the herbal paste over the cloth. Cleanse the affected area with hydrogen peroxide, and place the poultice over the area. Wrap a towel around the poultice to prevent soiling. Use a pin or other fastener to secure the poultice in place. Place two ounces of the whole herb, about ½ cup, and one cup of water in a small saucepan. Simmer for two minutes. Do not drain. Arrange a clean piece of gauze, muslin, linen, or white cotton sheeting on a clean, flat surface. The material should be large enough to cover the affected area completely. You can also use paper towel. Pour the herbal solution over the cloth. Cleanse the affected area with hydrogen peroxide, and place the poultice over the area. Wrap a towel around the poultice to prevent soiling. Use a pin or other fastener to secure the poultice in place. Goldenseal is good for inflammation of all kinds. Fenugreek, Flaxseed, and Slippery Elm can be combined to treat inflammation. Slippery elm can also be used alone for the inflamed gangrenous sores often associated with diabetes, and for leg ulcers. The use of a slippery elm poultice upon the appearance of sores and ulcers can help prevent gangrene. Slippery Elm and Lobelia are used to treat abscesses, blood poisoning, and rheumatism. Lobelia and Charcoal are used to treat insect bites, bee stings, and almost all wounds. Chaparral, Dandelion, and Yellow Dock are used to treat skin disorders such as acne, eczema, itchy or dry skin, psoriasis, and rashes. Can be used alone or combined. Use chaparral only if you grow it or purchase it from a reputable organic grower. Mullein is used for inflamed hemorrhoids, lung disorders, mumps, tonsillitis, and sore throat. To make the poultice, mix four parts mullein with one part hot apple cider vinegar and one part water. Mustard is used for inflammation, lung congestion, and swelling, and can help relax tense muscles. Because mustard is an irritant, don’t use directly on the skin. Pao d’Arco, Ragweed, and Wood Sage can be combined to treat tumors and external cancers. If heat is desired, put a plastic sheet over the poultice to completely cover it to prevent evaporation. 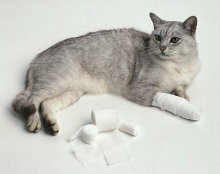 Wrap the entire area with a bandage to fix the poultice in place and hold in the heat. You can also use a hot water bottle, if applicable, to keep a poultice warm. Activated charcoal works effectively to decrease pain and to absorb toxins, poisons, heavy metals, and other harmful substances from the body. You can use these poultices for many conditions including abscesses, bee stings, boils, bruises, bug bites, burns, bursitis, ear aches, eye inflammation, gangrene, liver disorders, pain relief, pink eye, sore muscles, sore throat, sprains, tendonitis and more. A quick mini poultice can be made by adding drops of water to the gauze part of a bandage, sprinkling charcoal on the gauze until it is well blackened, and then placing the bandage on the affected area. Once you fasten your compress or poultice in place, cover it with plastic wrap to keep it from drying out. The edges of the poultice or compress may be folded over and/or taped with paper tape. You may leave these compresses on for several hours or even overnight, but do not reuse them. Always start with a fresh compress. Some people add flaxseed to their charcoal compress to keep it moist. The moisture allows the charcoal to absorb better. If you don’t have ground flaxseed, you can grind it in a coffee grinder. 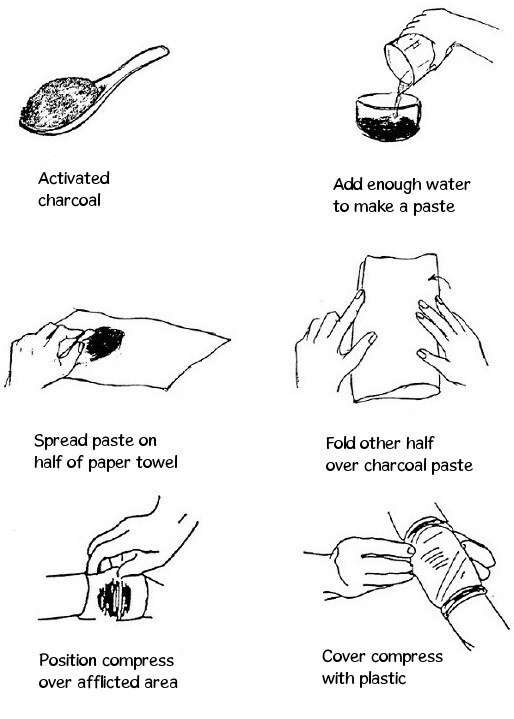 See the illustration below for one example of how to make a simple charcoal compress. Poultices and compresses should be kept in place for one to twenty four hours, or as needed. During this period, a throbbing pain may be experienced as the poultice draws out infection and neutralizes toxins. When the pain subsides, the poultice has accomplished its task and should be removed. 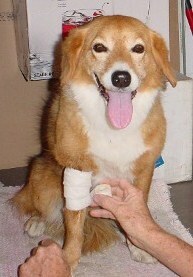 This duration can be hard to ascertain in animals, and it varies. Apply fresh poultices as needed until the desired level of healing has been reached.